This village was the main point of reference for Jews arriving in the Val d’Aran. 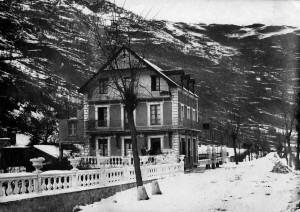 Bossòst received hundreds of people who had been detained while trying to secretly cross the Pyrenees. Most of them had begun their journeys in Luchon, crossing the French-Spanish frontier via the Eth Portilhon pass. The town of Vileha and the village of Les became points of reference for all Jews seeking to cross the Val d’Aran. Many of the refugee expeditions that reached Aran from the French departments of Pyrénées Atlantiques and Haute Garonne rested along the way at the cabin of Artiga de Lin. The nucleus of Montgarri received many expeditions of Jewish refugees. They rested and slept there before continuing their journey southward. The barracks of the Guardia Civil who monitored the frontier were the destination of all those captured in the mountain passes who had come from the area around Seix (Ariège) and crossed through the mountain passes of Salau, Aula and Pala de Clavera. They were later transferred to Sort. The expeditions that came through the frontier passes that converged in what is now the municipality of Alt Aneu and those that had crossed the border near Montgarri used to rest at Bordes de Perosa. 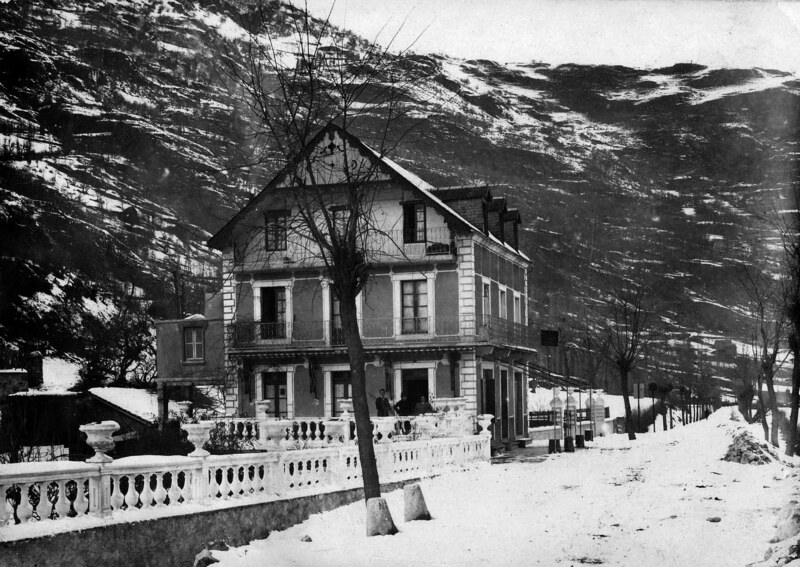 The barracks of the Guardia Civil at Tavascan were the destination for those captured in the mountain passes that led from the area around Aulus-les-Bains (Ariège). They were later transferred to Sort. Some Jewish refugees rested at the mountain shelters of Lladorre after surviving exhausting treks through the mountains. The refugees captured in the frontier passes of El Pallars Sobirà were taken to Sort. The same occurred with the majority of those who had not been to the Val d’Aran and who were in transit, on their way to the prisons of Lleida after spending time in the prison cells of Vielha. At that time, the only road that connected Aran to Lleida ran through the Bonaigua mountain pass. 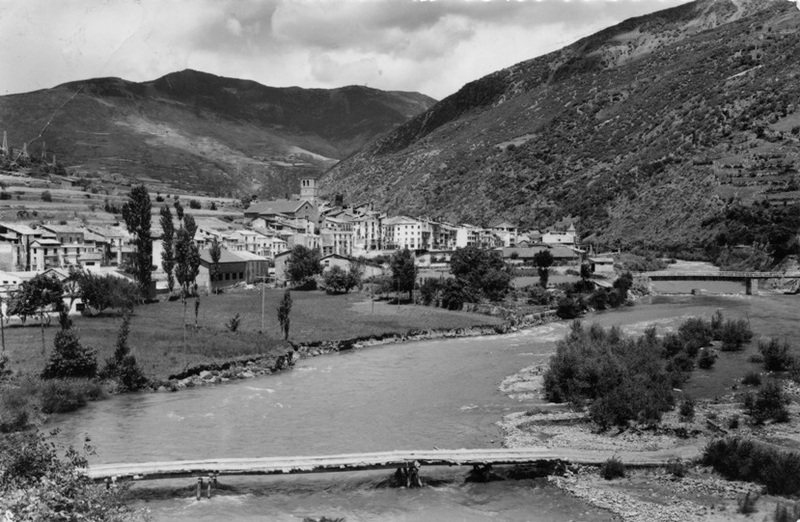 Given that the journey often took several hours, it was common to make a planned stop at the capital of El Pallars Sobirà, taking advantage of the fact that it also had a prison. In fact, the village of Sort had two prisons: one for men and another for women. Both were located in the Plaça Sant Eloi square and both were relatively small. It has been documented that between 1939 and 1940 at least 2,660 refugees passed through these small prisons. Between 1939 and 1944, the women’s prison received about fifty prisoners. On the other hand, the Hotel Pessets played a significant role as a place of rest for Jews fleeing from northern Europe during the Second World War. Many of the bills for hotel stays were charged to the Dutch consulate in Barcelona and the American Joint Distribution Committee. The former related to the stays of Jews with Dutch nationality, while the American Jewish Joint Distribution Committee paid for those of Jews who were originally from countries such as Poland, Germany and Austria and who were considered “stateless”. The prison of the judicial district of Tremp was located in Plaça Capdevila, in a building that currently houses the local district court. It was only used from time to time and, even then, always as a passing point during the transfer of prisoners from the Pyrenees to the city of Lleida. 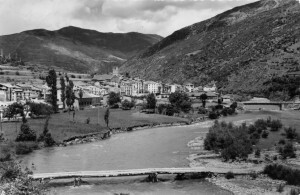 The village of Vilaller was the destination for several groups of refugees as they were driven from the Val d’Aran to the city of Lleida. • The frontier post at La Farga de Moles. This was located on the outskirts of the town and on the border between Spain and Andorra. • The police station. This was located at the entrance to the town. • The prison of the judicial district. At this time, the prison of La Seu d’Urgell held around 500 fugitives. This is a surprisingly small number if we consider that La Seu d’Urgell should have been the main destination for all of those captured in l’Alt Urgell and some of those from La Cerdanya who had come from Andorra. The work of the evasion networks probably explains why the number of people captured was so small. • The Hotel Andria and Hotel Mundial. These hotels accommodated some families who either had economic resources or who were paid for by the American Jewish Joint Distribution Committee. Escaping Jews passed through Martinet after first reaching the Principality of Andorra by secretly crossing the Pyrenean passes of Claror, Perafita, La Portella and Vallcivera. The majority, however, ended up being captured by the Guardia Civil and transferred to the prison in La Seu d’Urgell. Cervera was one of the places where various centres for political prisoners had been established during the early years of Francoism and these became key references amongst the concentration camps of post-war Spain. In 1939, a concentration camp was set up near the railway station, in an old warehouse belonging to the company Cros known as “El Climent”. In April, this camp was transferred to the building of the University of Cervera. • The Civil Government. 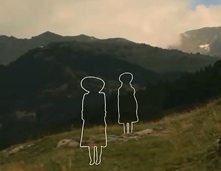 The local headquarters of the Civil Government was the place where the future of Jewish refugees who had been detained in the mountain passes of the Pyrenees was decided. • The prison created in the Seminari Vell. The prison set up at the Seminari Vell (Old Seminary) was located in the historic centre of the city of Lleida, in a square which is still called Plaça del Seminari. • The Provincial Prison of Lleida. The Provincial Prison was located in the upper part of the Rambla d’Aragó. It was a stone building that had been constructed at the end of the 19th century and had a ground floor and two upper levels. This building, like the Seminari Vell, was demolished in the 1950s. This space is now occupied by the Delegació d’Hisenda (Central Tax Office) and a square. In 1970, a monument was constructed in this square that was dedicated to the memory of those who were killed in the Spanish Civil War; it conserved a grill from the former prison. This monument was, in turn, demolished in 2009 to allow the remodelling of the square. It was not until the end of 1943 and the beginning of 1944 that this establishment was used to imprison those fleeing form the Second World War, who included Jews. • The hotel infrastructure that existed in Lleida made it possible for Jewish refugees to be shared between various different establishments. Between 1930 and 1944, Jews were accommodated at the following hotels: Hotel Palace, Hotel Nacional, Hotel Mundial, Hotel Moderno, Hotel España, Hostal Cuatro Naciones, Hostal Peninsular, Hostal del Sol and Fonda Agramunt. The avalanche of new arrivals that hit Spain from November 1942 onwards caused the saturation of both its prisons and the concentration camp of Miranda de Ebro. Faced by this problem, the Spanish government, the different embassies and the Red Cross sought formulas with which to tackle the problems facing these centres of internment. 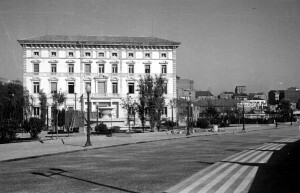 As a result, it was agreed to hold detainees at some unoccupied spa centres and one of these establishments was the Rocallaura spa (in L’Urgell).